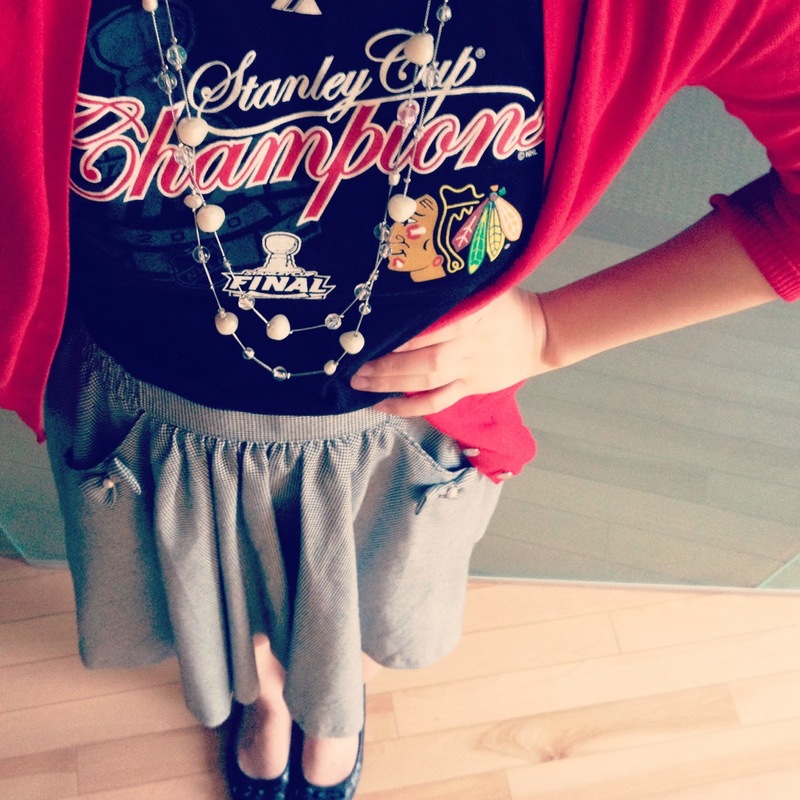 Grace in Style: Style Story: GO HAWKS! We had a fun day at the hospital last Friday to celebrate with the Blackhawks for bringing the Stanley Cup back to Chicago. 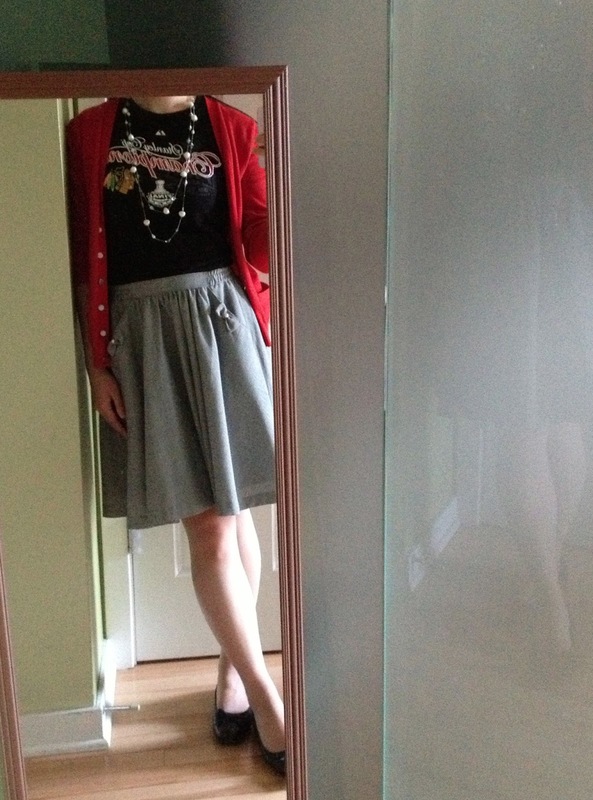 I got an excuse to wear a T-shirt to work...*gasp*! Skirt: Vintage aka. hand-me down from my mom! 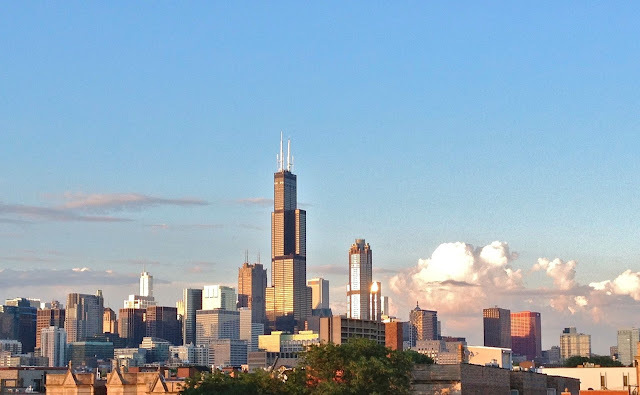 And just because I love the city of Chicago, here's my favorite skyline when the sun smiled radiantly after a stormy afternoon :) Reminds me that there may be bad or dark moments in life, but they're bound to be followed by a good & beautiful moment.